Thursday will be a busy day for many people! Even if you don’t have young children, you are likely to see Halloween festivities in your neighborhood and town. I feel like the “trick or treat” years flew by, as my oldest son, pictured below with me several years ago, has decided not to dress up this year. I knew this day would come but it makes me awfully glad that I embraced this holiday while I did. 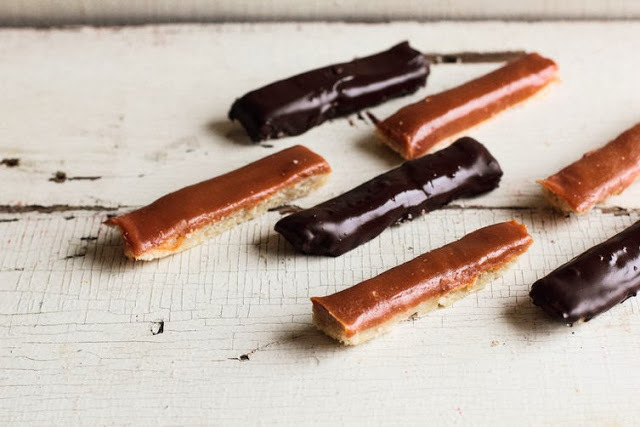 For those of you with a grown up sweet tooth, I loved these recipes for homemade Almond Joy and Twix! The perfect after dinner treat long past Halloween. I’m bewitched with these healthier treats and very happy to give away all the prepackaged versions! Happy and safe Halloween to you and all your little goblins! How bewitching you are! The days of dressing up are long gone for us but not the days of indulging in Halloween candy. 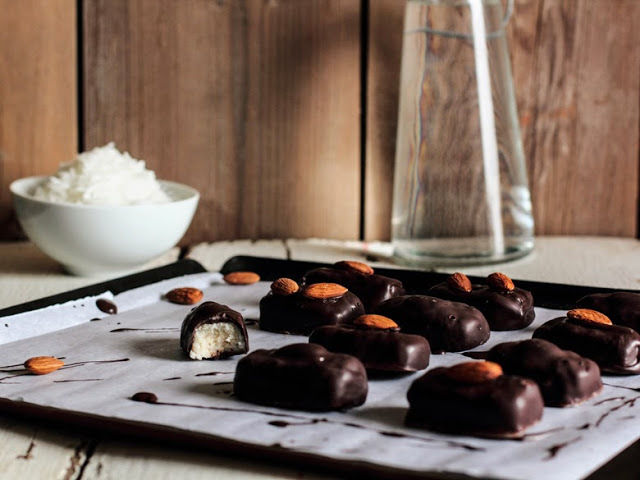 Almond Joys are a favorite around here! They sure get to the "too cool to dress up stage" pretty fast! But we do get a LOT of trick or treaters in our neighborhood, so things stay festive. Hope you have a Happy Halloween! (And thanks for the sweet wishes – I'm feeling a little better every day). 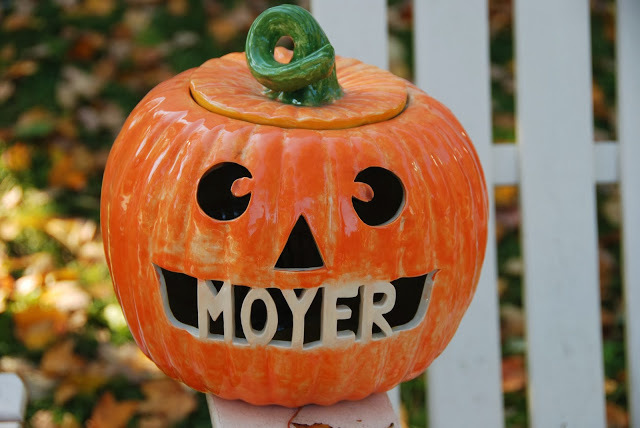 I love your personalized pumpkin, Elizabeth! Before you know it your son will want to dress up again (but no longer in anything cute) and go out with a pack of friends on Halloween night. They grow up too fast, don't they? Your homemade candy looks delicious! Have a lovely afternoon! Oh my goodness! I think you need to get that broomstick out and keep riding high! 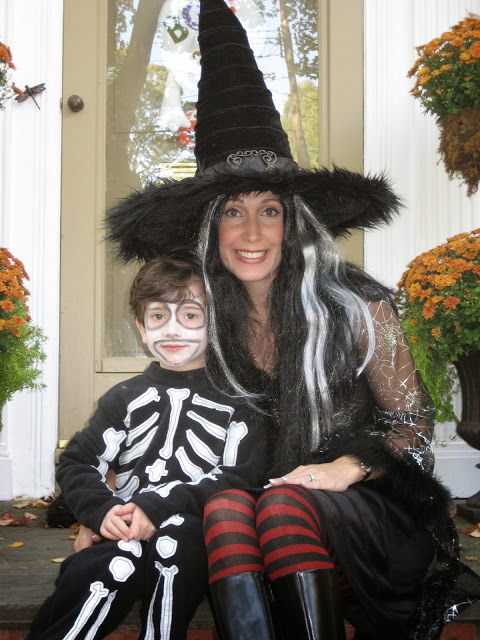 Even if your son is not "trick or treating" – you have such a magical way with sharing happy goodies. Such a cute photo to treasure for years. Now that home made candy looks pretty sweet. Every Halloween I display my 4 kiddos Halloween photos on the mantel. Those days were my favorite and never to be forgotten. They much older now my baby is 18. Halloween is my favorite time. So nice to see other mom's dress up with their kids!